I had heard from co-workers that traveling on Christmas Day was great because no-one does it, so everything is smooth, quick, efficient. Taking this advice, I was excited to drive home on Christmas Day without traffic. From the start, I could tell my friend was right. The average pace of cars on the road were what, on a normal day, would be the pace of a weaving maniac. Traveling at such a fast speed would normally come with it feelings of daring recklessness. However, on this day, it brought calm and peace, because everyone was driving that fast, no-one was in a rush or felt compelled to go any faster because we, all of us on the road together, knew and felt that we were already making great time, great pace. We didn’t have to focus on the small decisions, the small lane changes, the small accelerations or decelerations that only have (statistically proven) a ~5% effect on the overall travel time. We knew that by making the right big decision, timing our trip at the most opportune moment, we were experiencing a 25% effect on the overall travel time, and we were satisfied. After about 100 miles, the freeway became pretty clearly separated into 3 personalities of driving. We had the people who want to be safe drivers and drive the speed limit and not take advantage of the full 25% speed bonus by driving on a day with no traffic. We had the people who were taking advantage of the 25% speed bonus and content with that. And then we had the dare devils, the speed racers who decided to take advantage of the opportunity within the opportunity to turn the 25% speed bonus into a 50% speed bonus. A personal side story: I had driven on this path many times before. One time I drove this path was on my way to my first job. I was weak. I had just gotten over a close call health scare. I had very low confidence in my physical abilities. At this time I qualified as the first personality: driving safe and at the speed limit, not taking any advantages or opportunities, and taking frequent and long breaks to recover and ‘preserve’ energy for the long haul journey. Another trip I was with a friend, so I could share the fatigue of driving as well as the risk of collision, as there were now two sets of eyes to look out for danger and half the driving time cost. We could save on the time for taking breaks, but because we cared for each other’s lives we didn’t go very fast and still drove at a relatively safe pace. Another trip I was tired, exhausted, stressed, and reckless, at the end of my rope, feeling pressure to achieve and hopelessness over the possibility of achieving. I weaved like crazy this trip, took very few breaks, and achieved a 30% speed bonus despite traffic with high risk to health. Returning to the story, this trip home on Christmas, I was calm, collected, and cool and calculating. I determined what the projected situation might be (less traffic) and looked forward to that, while at the same time preparing myself for anything (more traffic). I recognized an opportunity to achieve a 25% speed boost without serious risk, and I took it. After 100 miles, I started recognizing that there were 3 categories of drivers on the road. I learned to casually pass the slow and safe drivers with no risk to either of us. I assessed the situation and determined that because there was so much space between vehicles on the road, I could go faster than 25% and achieve a 50% speed boost at relatively low risk: it only involved passing both category 1 drivers at speed limit and category 2 drivers at 25% speed boost. Both categories of drivers, when I passed them, were very polite, respectful, and content with their own speed, and since I wasn’t cutting close to them or making them feel uncomfortable, they just minded their own business as I gently drove past. What is interesting is when I started to compete against other category 3 drivers. Within this category, I saw another 3 types of drivers. There was the ego sensitive driver: they were going about 40% faster than normal, so they could feel the ego boost from passing category 1 and category 2 drivers, but they weren’t interested in pushing the limit. They just wanted to be faster than everyone else on the road. When I would try to pass them, they would accelerate to 50% above the usual speed and make things difficult for me. Then when I passed them, they’d decelerate back to 40% where they felt comfortable. The second type was where I was: making intelligent decisions to steadily pass at every opportunity that was naturally and gently presented by the nature of the driver. The third type was the frustrated angry road rager. This guy comes up behind me with an exasperated look on his face, and smirks every time I look back at him. He races to me across the open stretch of road, even though I’m at 50%, he’s probably going 66%. Then he takes very small margins, engaging in high risk maneuvers, to scrape past me. This is a person who is trying to go as fast as possible at all times. Whereas I’ll cruise at 50% until the next group of cars to begin passing, he will zoom asap to close the gap and then weave aggressively through the pack to get ahead. I think this says a lot. About how different people travel differently through life. And about how differently people respond to opportunity, and also about how people respond to opportunities differently depending on what state or stage of life they are in at the time. For one, how you perform on the road is influenced by what you bring to the road. Do you bring exhaustion? Stress and recklessness? Calm and peace? Are you logical or emotional? Ego driven? In a lot of ways I think that a long road trip parallels the rat race up the career ladder. There are those who are motivated for the wrong reasons. Those who are too sick to do better. Those who are too safe or afraid to try for more. Most people’s behavior on the road is determined by what they bring to the road, meaning they stay true to who they are. Others are very responsive to the conditions of the road. Some in a good way, taking advantage of opportunities at reasonable risk, and some in a bad way, only pushing themselves in order to look good in front of others, rather than pushing because that’s who they are, what they are capable of, and what they want. As a personal note (treating this site as a blog briefly) I’m happy to have lived through many of the personalities, so that I can evolve and learn from them. I think, as is the trend with this site in general, and in 2016 in particular, I have made gigantic strides in the category of emotional intelligence, and a lot of that has come from focusing on the big details, the decisions that make a 25% impact on the course of my life, rather than over focusing on the small details, the decisions that make a 5% impact on the course of my life. The rest has come from triumphing over the obstacles that I’ve faced. Looking forward to renewed progress next year. 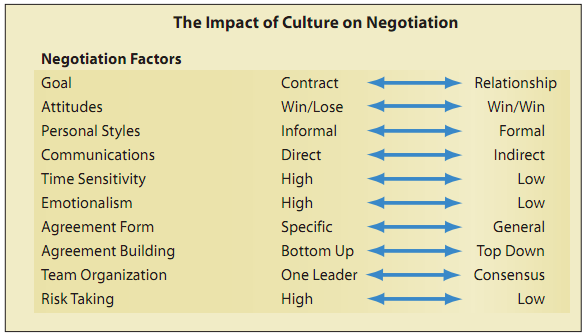 This diagram is from the article and aptly summarizes a valuable set of dimensions through which to think about negotiation. I won’t dive into the details, the article does it better and I’d recommend you read the article. I’ll just sell the article by talking briefly about the value of these skills. The value of negotiation is that it helps you get what you want in life, and it is involved in every stage of getting what you want. Let’s say you’re hungry and you see a restaurant selling a hot plate of spaghetti for $11.99. That is a negotiation. The restaurant has proposed an exchange of $11.99 for food, and you can accept, or reject. This is an example of an ultimatum strategy of negotiation. The explicit terms of the negotiation is obvious, the implicit terms of the negotiation are not obvious. Every restaurant has a sign displayed that says “we reserve the right to refuse service to anyone.” This means that your option to execute the purchase order for spaghetti is not guaranteed. You still have to negotiate for the product by behavior in a socially acceptable manner, not being insulting, not being rude, disrespectful, etc. to the staff who will be serving you. Purchase is the basic form of negotiation. Relationship is the complex form of negotiation, and this is further subdivided into personal and business relationships. If you want to go to the park with a friend, that is a negotiation: the cost to each person to travel to the park, and the amount of happiness derived from the trip has to be of high enough interest to all parties for the activity to occur. Thus, negotiation is employed for you to get what you want, which is to go to the park with a friend. In a business, a manager wants an employee to do work, so they negotiate over the terms of the work and the terms of the pay. The manager is trying to get what he/she wants: work from the employee, and the employee is trying to get what he/she wants: pay. 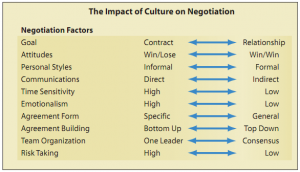 Negotiation is different from persuasion. Persuasion is about generating interest in the transaction, about creating the opportunity. If the restaurant didn’t serve spaghetti, but had all the ingredients for it and the chef knew how to make it, persuasion would be talking to the owner and asking them to make spaghetti for you. Negotiation takes over after the option exists, after the opportunity has been created, and is used to determine the terms of the transaction: price of the spaghetti. UPOD (Under Promise, Over Deliver) is a common piece of advice within the context of managing your career: by always setting low expectations, you set yourself up to frequently exceed expectations in the eyes of your co-workers and manager, which sets you up for career progression. However, in the linked reddit post, the author makes the valid case that such a strategy can enhance your personal life as well. Within the context of your family and friends, you can set yourself up for impressing and improving the happiness of those around you and in turn yourself. Finally, UPOD is a good strategy within the context of self love. Instead of making high expectations of yourself that you statistically would rarely achieve, set lower expectations but keep your goals high. Thus, you will more likely meet expectations, which will give you the sense of achievement that will boost your mood and energy and motivation to persist on and exceed your expectation and meet your goals. Within the context of what makes UPOD work are two concepts: Setting expectations and celebrating small victories. Setting expectations is key to a happy and successful life. When your expectations roughly match the outcome in reality, you feel connected to reality because you understand it enough to accurately predict it, and this is empowering. When you set expectations that are met or very close to being met, you also feel good because then you can see and measure yourself in that situation, unlike if the outcome far differed from your expectation you’re just left in confusion and feel powerless. Celebrating small victories is important to refreshing the limited resource of willpower and motivation and energy that we all have. This resource gets used up as we work towards our goals, and if we do not celebrate often and refresh this energy, then we cannot reach as far, we cannot achieve as great a goal as we could have. It’s the difference between running for 3 days without food and water, and running for 3 days with food and water. Feed yourself. Celebrate small victories!